The goal of this text is to teach students about the characteristics, objectives, and wide-ranging effects of psychological testing. 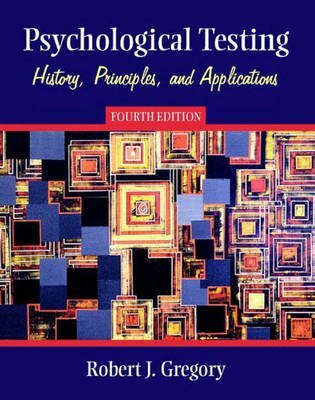 In addition to the breadth of coverage of traditional topics, the fourth edition of Psychological Testing provides detailed presentations on neuropsychological and geriatric assessment, the early uses and abuses of testing, assessment of learning disabilities, testing in special settings, race differences in IQ, and cheating on national group achievement tests. The author also describes and critiques the latest versions of the most widely used tests, examines the subtleties of the testing process, and explores the value-laden issues surrounding the wisdom of testing.